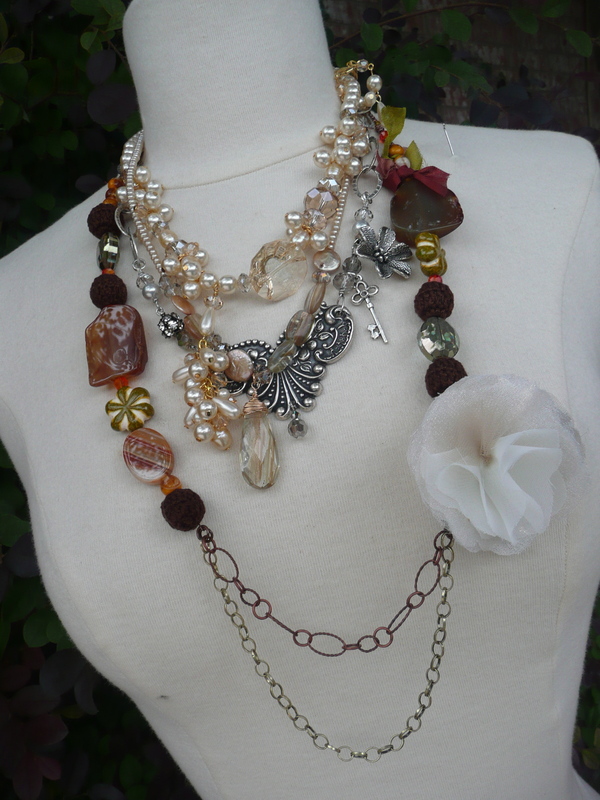 2nd sneak peek… of what you will find at the trunk show in Arkansas. 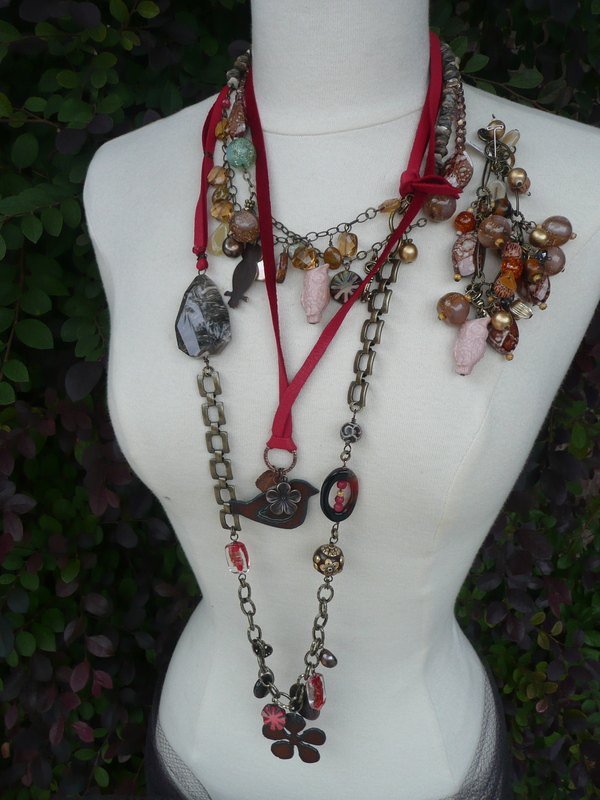 Cute fun necklaces and cluster bracelets featuring vintage owl pendants, birds and cool metal flowers. So many fun you exiting designs! if you are looking to get dressy with crystals and pearls look no further these pearl one of a kinds could be yours! Fall colors with a touch of cream (flower) can be removed and worn separately. This entry was posted in Events & Shows, Jewelry Finds and tagged birdie necklace on leather, owl cluster bracelet, owl necklace, pearls and crystal necklaces, vintage owl pendant. Bookmark the permalink.